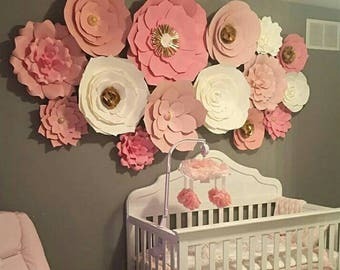 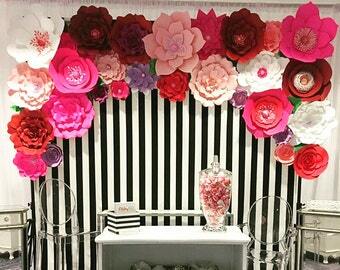 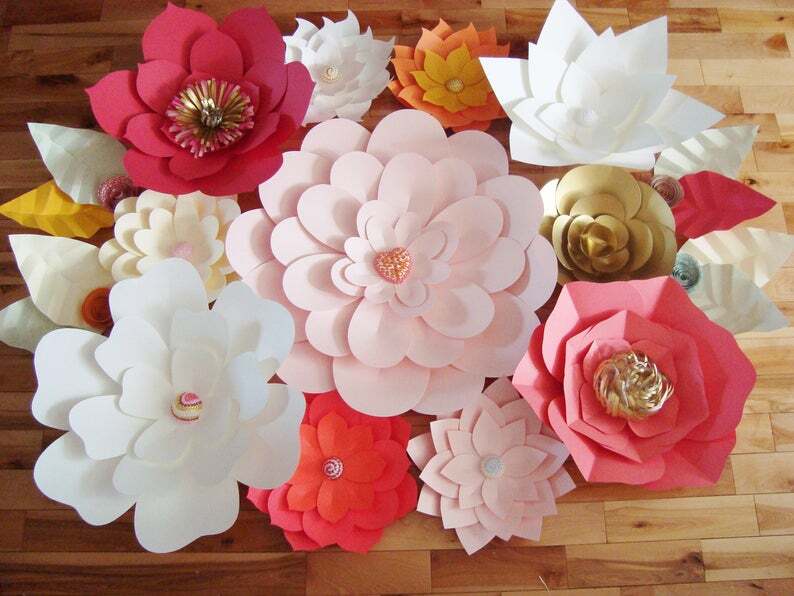 Use these flowers to create the perfect paper flower backdrop for your wedding ceremony, wedding reception (or both), special event, home decor, baby nursery or little girls room. 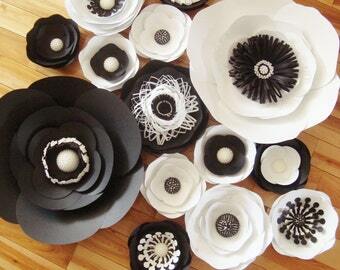 Flowers come completed (no assembly required). Offering 15 paper flowers in colours of your choice with a mix of jewelled and paper centres.